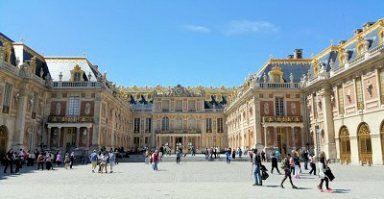 It is no surprise why France is the world's most visited country with its amazing beauty and features. 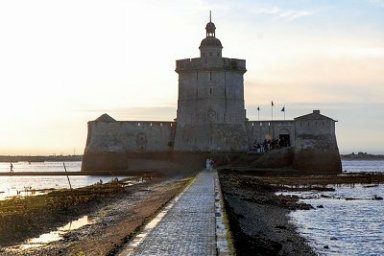 There is less traffic compared to border countries and a rental car will give you a great appreciation of France's picturesque countryside which is brimming with unique cities, fortified castles, orchards, vineyards and small cobblestone villages that retain their historic beauty. 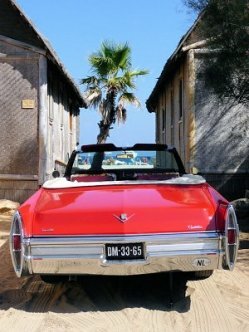 locations like the Atlantic seaboard, South-West France, Lorie Valley, the French Riviera and Provence still hold great appeal to visitors and have been favoured destinations from the 1990s. Tourists also find locations like the amazing Calanques (creeks) of Marseille-Cassis, Lorie Valley's famous Châteaux, and Europe's highest dune the Plait Dune very appealing. 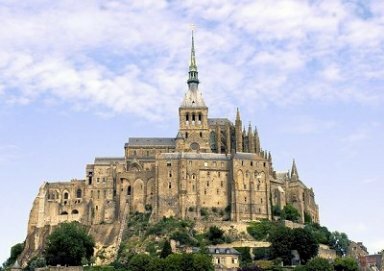 There are 38 locations that adorn the World Heritage List by UNESCO such as Mont-Saint-Michel with its accompanying Bay in Normandy, Chartres Cathedral, the Palace and Park of Versailles as well as Carcassonne's Historic Fortified City. The Normandy coastline is a succession of resorts. Look for the seafood restaurants in the fishing ports. Inland, the livestock farms supply a cuisine which is rich in butter, cheeses, cream and hefty helpings of meat. Apples and pears are major crops. The wooded farmlands of Normandy create some of the most beautiful landscapes in northern France. Brittany becomes more Breton as you move further west. A wonderful coastline and an airy, high-level interior are linked by a wooded middle district which could easily be in Devon or Cornwall. Bretons, particularly in the west, retain a feeling of "apartness" from the rest of France, and you will not be long there before being aware of something Celtic in the air. Traditional costumes and religious processions, not always as well supported as they have been in the past, underline the differences in culture and background. In both Brittany and Normandy, regional nature parks are very well organised, with wildlife reserves, museums of traditional ways of life and places where you can see products such as bread and cider being made in the old pre-industrialised way. 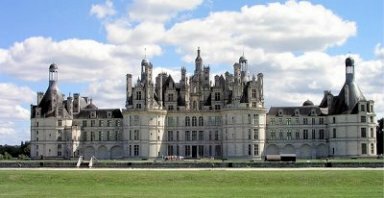 many of France's most magnificent castles. The "conspicuous consumption" they represented was one of the elements which brought about the French Revolution. Fortunately, the major castles such as Chenonceau and Blois survive. At high levels, you will find windy, upland grazings and conifer plantings, and there is a chance of snow flurries even in late spring. Lower down lie arable and pastoral farms, but the finest ground, especially near Tours and along the valley of the River Charente, is reserved for vineyards. This is the country of Pays Nantais, Vouvray, Rosé d'Anjou, Cognac and Cotes d'Auvergne wines.The two islands of Ré and Oléron are microcosmic worlds of their own. Rimmed by beautiful beaches and holiday resorts, with fine climates tempered by the Atlantic breezes, they have a strong off-season life. Farms, vines and oyster beds all play their part, and the little towns enjoy intriguing histories. Ré, for instance, was the last place on metropolitan French soil seen by criminals shipped to Devil's Island. Here is another region which shows the remarkable variety of France. On the coast, there are uninterrupted expanses of surf-washed beaches. Behind them stretch vast areas planted with pines. The Pyrenean foothills offer bracing spa resorts where walks by mountain streams and wildflower meadows are the order of the day. In the valleys of the Dordogne and the Vèzére, you will find the greatest cluster of prehistoric sites in Europe, many of them troglodytic dwellings quarried thousands of years ago. 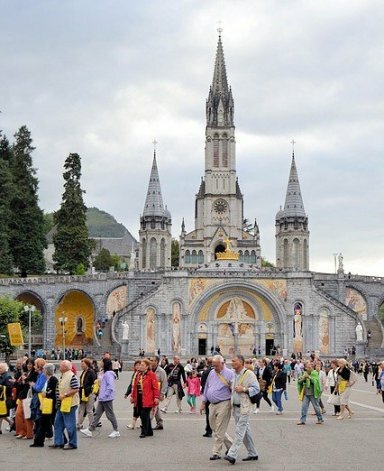 Lourdes attracts millions of pilgrims and visitors every year: Smaller numbers make the journey to the glorious hilltop church in St-Bernhard-de Comminges. You can visit weird underground caverns, one group bizarrely reached, not by going deep into the bowels of the earth, but by heading uphill in a cable car, and you can find out about traditional rural crafts and ways of life in display areas large and small. Oysters are a major crop where the Bordeaux route reaches the coast. Inland, connoisseurs of wine and brandy can lose themselves among the vineyards of Armagnac, Bergerac, Barsac, Graves and Sauternes. 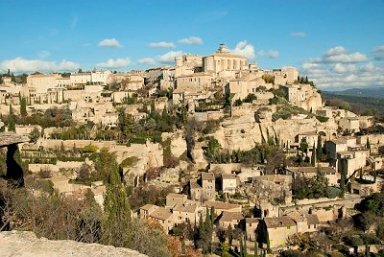 Some of France's most glorious towns and villages are here. Rocamadour is one of the most stunningly located places in Europe, but there are also Domme and Sarlat and Labastide-d'Armagnac to cherish. There is no single theme along the littoral of the south of France, nor even a single name for it. West of Marseille lie the flamingo lagoons, the pools, the rise fields and the summer pastures of the Camargue. East of the city stretches a sublime coast of capes and rocky inlets - the beautiful calanques. Beyond the great roadstead of Toulon are the islands off Hyères, including, at Port Cros, an entire island nature reserve. grander scale are the great resorts of the Cote d'Azur - Cannes, Nice, the immensely wealthy and independent principality of Monaco, and Menton. Behind Nice and Monaco is the arrière-pays, the "back country", the mountain country. Europe's answer to the Grand Canyon lies there. forests and river valleys, where time slows down in delightful hilltop villages drowsing beneath a dazzling southern sky. Today, the Côte d’Azur boasts 80 public gardens (excluding urban parks) that are exceptional in terms of their botanical and historical value. This free guide gives you plenty of information about the parcs and gardens in this area. I write to Thank you. My trip was amazing and your Job too. Thanks for your patience and all informations. All of my hotels were amazing, mainly Bellevue. It is a Great team! It has been a long time since we've conversed; however, our friends and relatives have been in touch with you so much that I feel we're still connected. First of all, thank you so much for all you did to make my brother-in-law's vacation so memorable (Willie and Kathy). Honestly, he can't stop talking about it. When I first asked him how things went, he replied "Hubertus is the most amazing travel agent in the entire WORLD!" Which is very, very high praise from. We can't wait to hear about all your recommendations and especially the Villa in Italy which they loved. And, of course, my husband's aunt and uncle (Terry and Janet L.) absolutely adore you. I know for a fact that they won't travel anywhere without having you plan their trips. And, like us, both the Lowells and the Kings are referring you to all the other relatives and their friends!